Well, today marks the first day of my trip travelling to Vietnam to be part of the UTS BUiLD and Bloom Microventures Poverty & Microfinance in Rural Vietnam program. After sitting in a traffic jam and having to make a snap decision to go by train and a bit of a freak out by the passenger next to me who evidently obviously doesn’t like flying (I’ll wait for her to remove the towel covering her head later for a chat), we are in the air (I will post this when I land). I’m looking forward to being challenged on this trip in the way that I live my life at home and am especially keen to learn about local needs and issues in the rural areas that we are visiting. From what I can gauge, it’s super important to better understand the needs of the community first so that the micro finance loan solutions can then aid the individuals and provide them with the necessary education and support but also be beneficial to their families and wider communities. I do have lots of questions that I hope will be answered along the way and throughout my trip I’ll be capturing moments through photos and video. I’m looking forward to getting my hands dirty (probably literally!) and seeing where my skills can come in handy in providing for these communities. This is an excerpt from Eric’s blog – you can read the full text here. 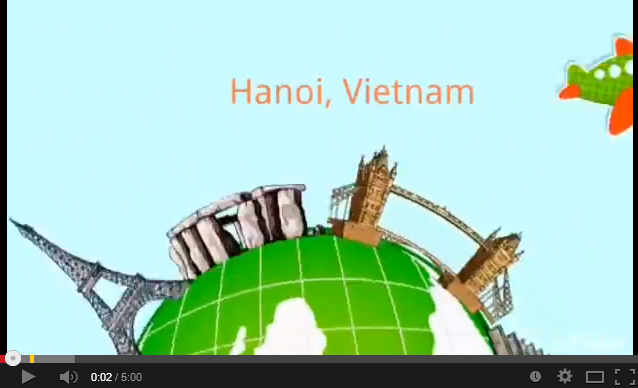 Check out Eric’s video from Day One of the program in Hanoi!